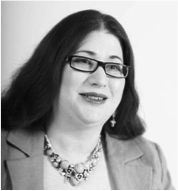 Marina has over 30 years of experience in the Business Consulting and IT sectors working for organisations such as IBM, EDS/HP and KPMG Consulting. Marina retrained as a psychologist to teach mindfulness at the Oxford Mindfulness Centre (OMC), Oxford University. Marina joined the OMC Development Board in 2010 and co-founded The Mindfulness Exchange (TME) as a University spin-off, specializing in evidence informed mindfulness training for the workplace. As Owner and Managing Director of TME, Marina is a pioneer of mindfulness training and teacher training, and co-creator of the WorkplaceMT approach to teaching mindfulness in the workplace, which helps people master their minds and flourish at work. 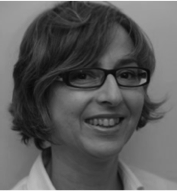 Juliet is a Fellow of CIPD with a Masters in Training and Performance Management who combines over 20 years of experience working in HR, Training Design, Organisational Development and Change roles with an in-depth knowledge of mindfulness. Developing Mindfulnet.org has bought her into contact with mindfulness thought leaders world-wide, who have shaped and influenced her work. Juliet has organised 3 Mindfulness at Work international conferences and has authored ‘Mindfulness at work for dummies’ and ‘Mindful leadership for dummies’. As Owner and Managing Director of A Head for Work, Juliet is a pioneer of mindfulness in the workplace training, and co-creator of the WorkplaceMT. Juliet teaches mindfulness in a wide range of public and private sector organisations, and works with Marina on the design, delivery and evaluation of WorkplaceMT teacher training. Find out what Marina and Juliet could do for you.